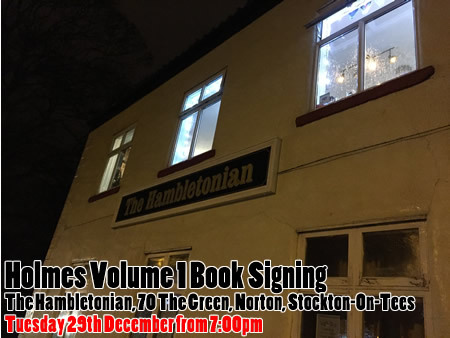 Melvyn Small will be signing first edition copies of his new book Holmes Volume 1 at the Hambletonian, Norton from 7pm on the 29th December. If that isn't enough to tempt you into a post-Christmas night out, the Hambletonian will be serving homemade pie and peas along with their excellent selection of premium lager and fine cask ales. The delicious homemade pies come with pickled red cabbage or peas and a pint of cask ale for just £6.95. It defies logic to resist.